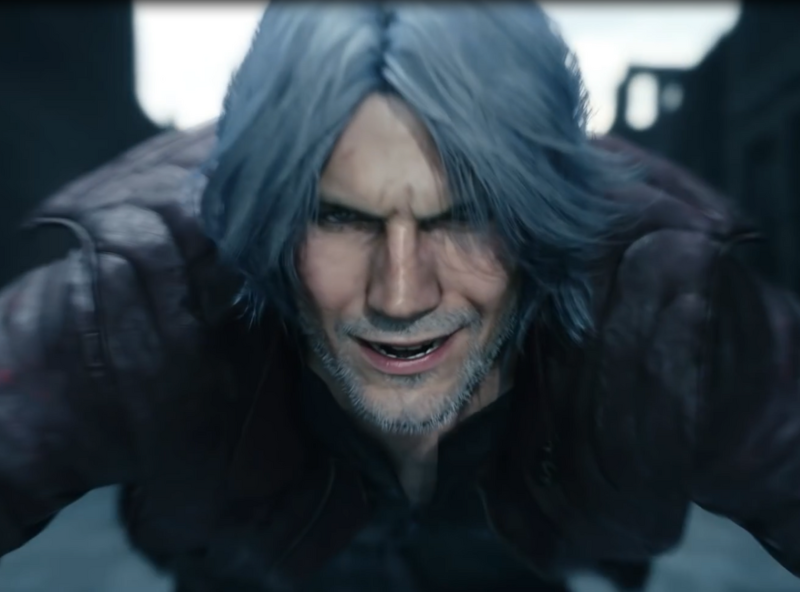 okay, that dante's grin.. that's a very very very familiar grin "my name btw, is dante, has a nice ring to it don't you think?" So that rocket punch thing was a separate robot arm on his belt all along. I didn't see it clearly but I thought his own prosthetic Devil Bringer was doing the rocket punching. And from the look of the giant spark shock pic, he seems to be carrying two spare robot arms on his belt. I just hope the saturation gets upped a bit. Not a fan of this grittier tone. Still hope to see more of Dante in a new trailer. Who's dat third character tho he looks to have white/greyish hair as well ? short pants, cowboy/pirate boots, waist tools, spirit of kat here..
You know, I'm not gonna lie, graphically speaking this game does look stunning as all ****. What is it with female characters faces nowadays? She's just as hideous as the ladies from Injustice 2. I hope Trish or Lady don't end up looking like men. It's called the Uncanny Valley. A Japanese roboticist stipulated that the closer to realism you get without actually achieving it the more off or unsettling the human form looks. Well, I say that but... Then again, it might just be ugly character design. I don't like Nico's look nor attitude, she annoys me in layers. Nero looks a lot like DmC Dante now. Amusing. 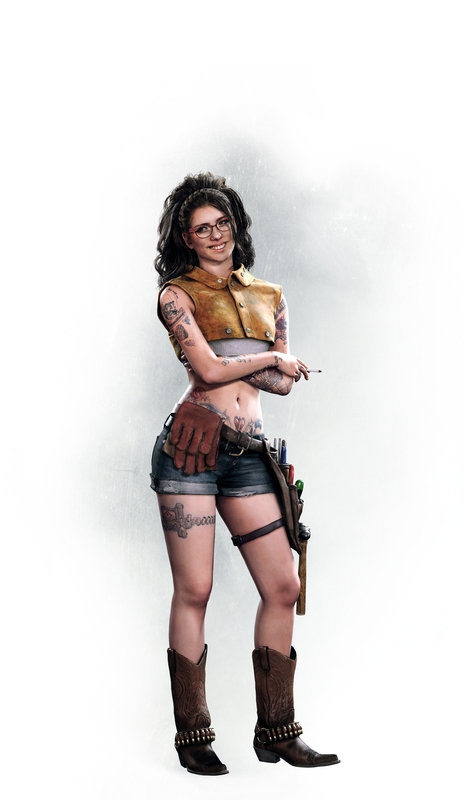 I'm interested in seeing the same fans who complained about DmC praise how good the new Nero looks. In another board, there are already a gathering of haters who don't like this game purely due to the "gritty" art style and the DmC resemblance. Some are even claiming that Nero "moves like DmC Dante", completely blind towards the fact that old motion captures for Red Queen Combo A, a Buster animation and High Roller are reused and can be seen in the reveal trailer. is it me or is it actually Dante's boots from DMCIV? The Devil May Cry 5 logo looks awesome! Hmm. We're going to need a media and news release thread for stuff like this to go in. For this batch of info this should be fine. Announcing Devil May Cry 5! A new demonic invasion has begun with the seeds of a demon tree being sown in Red Grave City. Now fully equipped with his trusty Red Queen and Blue Rose, and a new arsenal of rad robot hands thanks to his partner Nico, Nero must rise up to this new impossible task. With such insane amount of energy and destruction emanating from this surprise invasion, the stage is now set for the latest chapter of the “Sons of Sparda” saga. However, Nero is not alone in this fight. Our gameplay announcement trailer above focuses on Nero and his new set of tricks, but Devil May Cry 5 will feature 3 playable characters, with their own unique over-the-top playstyles and flair. New dante and new nero are so SO UGLY!!! Oh man, I cant wait to play this. Their new look will take time to get used to but Im glad its finally here. No. I checked. They look to have similar pressings but Dante’s had a zipper down the center.